This Musketeer Cavalier Lady deluxe adult costume is perfect for theatrical performances such as the “Three Musketeers.” It can also be worn as a period costume. Show off your good form at your next costume party. 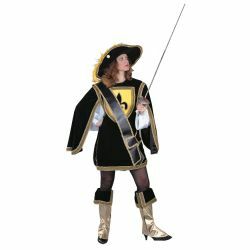 The Musketeer Cavalier Lady deluxe adult costume is available in black, blue, green, red, rust, or white and includes velvet hat with gold metallic trim, leotard with long linen sleeves, velvet tunic with crest, matching sword sash, and gold boot tops with velvet cuffs. Available in adult woman’s size small or medium. Note: Costumes from the Deluxe Costume Collection are comparable in quality to the costumes that we rent and are designed with theatre in mind. 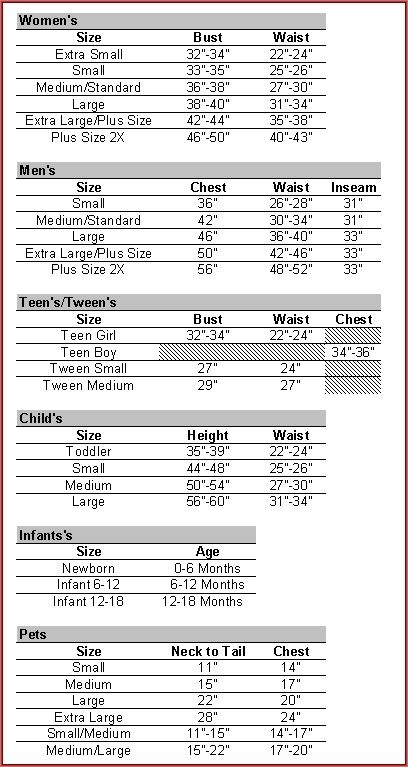 These are special order costumes and generally take two to three weeks for delivery. If you need rush delivery please call 1-877-218-1289. Per our return policy Special orders cannot be cancelled, returned, or exchanged.